Jeremy is a harlequin Dutch bunny who was neutered Feb 15. He is a relatively small bun, who is easy to handle. 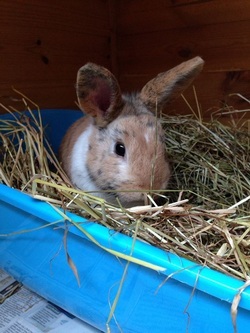 Jeremy has now been bonded & rehomed with RRR bun, Dolly.